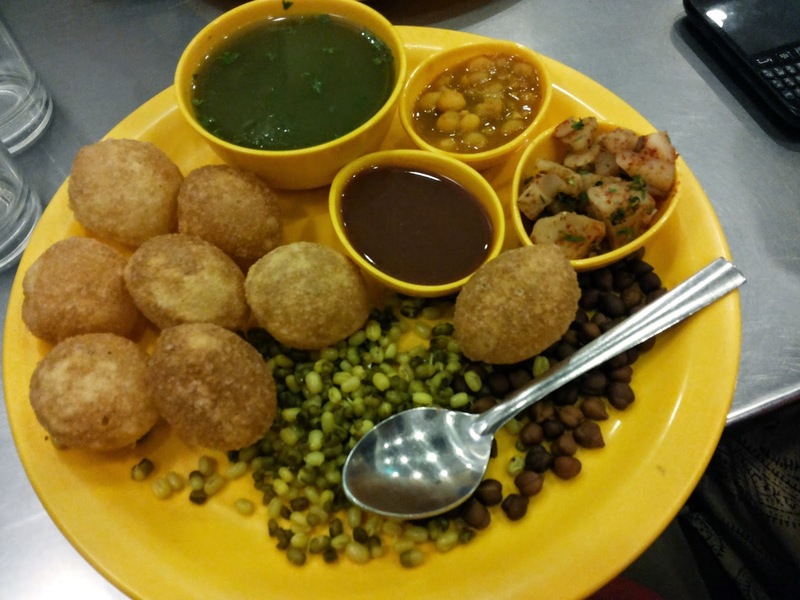 Pani Puri, aka Golgappa, is almost synonymous with India’s chaat culture. 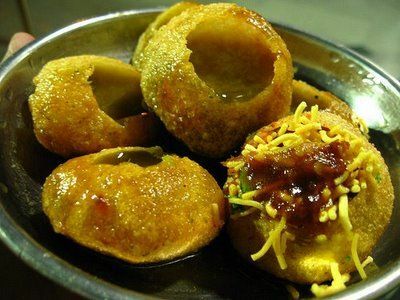 And, in Mumbai, pani puri is more than a mere snack – it completes the Mumbaikar’s quest for delicious street food. Close to everyone’s heart (or, should we say, taste buds), pani puri is one of the most sought-after chaat delicacies in Mumbai. Known for its typical Mumbai pani puri recipe, Elco is the hottest spot for you to grab those tangy ‘water balls’ that will leave you craving for more. After a long shopping trip to Hill Road, Elco is the perfect place for you to sit and chill with a plate of your favourite golgappas. Tip: If you are still hungry after your first plate, try their dahi puri. Extremely light on your pocket, this place is a paradise for all chaat-lovers! Gobble on their perfect combination of hot and spicy pani puris and, if it becomes too much for your taste buds, cool them down with the home-made ice cream that is sold right outside the joint. Located at Fort, Vithal is the oldest pani puri joint in town, established in 1939. They take the art of making delicious pani puris up by several notches. Tip: Awarded the ‘King of Bhel Puri’ title, the Vithal bhel puri is worth a try. Anything and everything on the menu is a winner, so don’t think much before you order. A 50-year-old heritage, Swati Snacks is known for its lip-smacking hygienic street food, which is made using home-based ingredients. For that ‘maa ke haath ka khana’ experience, order their pani puri prepared with authentic indigenous spices and herbs. A name often recognised for its chaat specialities, Appointment is a godsend for those in the Western suburbs, churning out plate after plate of crazy good stuff. Their Mumbai-style recipe stands out for its authenticity. 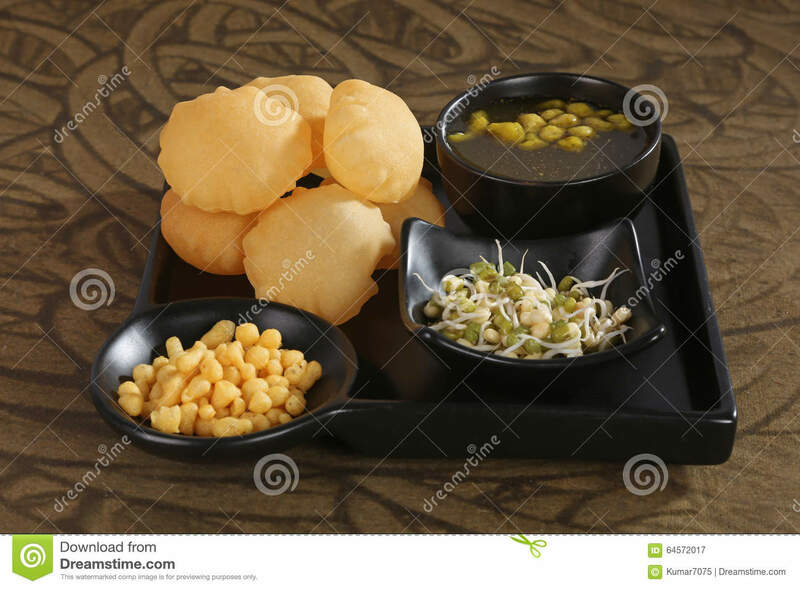 Chaat away at Jai Bajrang with a plate of mouth-watering pani puris. Light on your pocket but heavy on the stomach, this place is for all who would love to go on a ‘pani puri challenge’ inspired by SRK and Anushka from the movie Rab Ne Bana Di Jodi. Tip: Don’t forget to ask for your free ‘sukhi puri’. And that is a tip that applies to all the shops in the list. Serving the best Pani Puri for over 30 years now, this is the ‘it’ place for all pani puri lovers. Known for their typical Sindhi masala (no ragda, only boondi), it has unique taste that you won’t find elsewhere. One of the most a la mode (yet easy on your pocket) eating joints in town, this places serves the typical ‘amchi mumbai’ pani puri. The Prithvi ambience makes the place and the dish an irresistible combo. Tip: Wash down the pani puri with their Kadak Cutting chai (also called Sulemani). Chowpatty, you can laze around on the beach, admiring the beautiful sea. When hungry, there is a whole army of pani puri walas ready to satiate your taste buds! Address: You don’t really need that, do you? When it comes to street food, the holy grail is the anonymous guy selling his fare at some of the city’s most common spots. Right outside the Ray-Ban showroom on Yari road stands a guy selling pani puris so tasty we couldn’t describe it it words’. Tip: Be persistent and bhaiya will give you 2-3 sukhi puris for free! 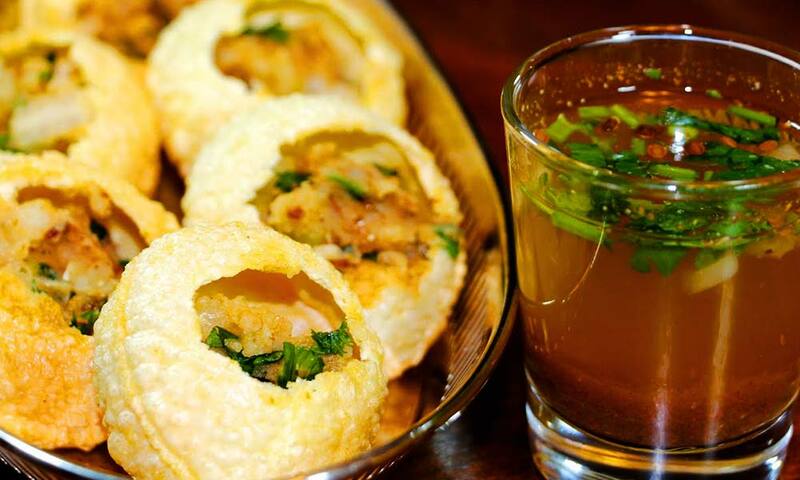 After you have tried pani puri at these spots, do give the Vodka pani puri a shot at SpiceKlub. Yes, you heard that right! Famous as admin Ash on one of the most famous pages on Mumbai on fb.